The new Audi R8 is jaw-dropping beauty paired with exhilarating power. Luxurious style and jaw-dropping power come standard in the new Audi R8, the breathtaking sports car with performance driving written all over it. This racing-inspired vehicle charges onto the scene and ensnares your attention with its chiseled body, flowing roofline, and prominent side air intakes. Boasting available 20-inch Y-spoke wheels and a plethora of color choices, the Audi R8 never blends in with the crowd. Slip into the performance-tuned cockpit and let the Audi R8 amaze you with its luxurious styling. The expansive dashboard features decorative inlays while fine Nappa leather flows throughout the cabin. Race around the track in the pinnacle of comfort with automatic climate control and heated sport seats that provide support at high speeds. Whether you’re racing to Webster, meeting friends in Fairport, or cruising around Irondequoit, the new Audi R8 is sure to leave a lasting impression. Stylish good looks are just the beginning. The Audi R8 offers two ferocious 5.2-liter V-10 engines that deliver up to 602 horsepower and 413 pound-feet of torque. 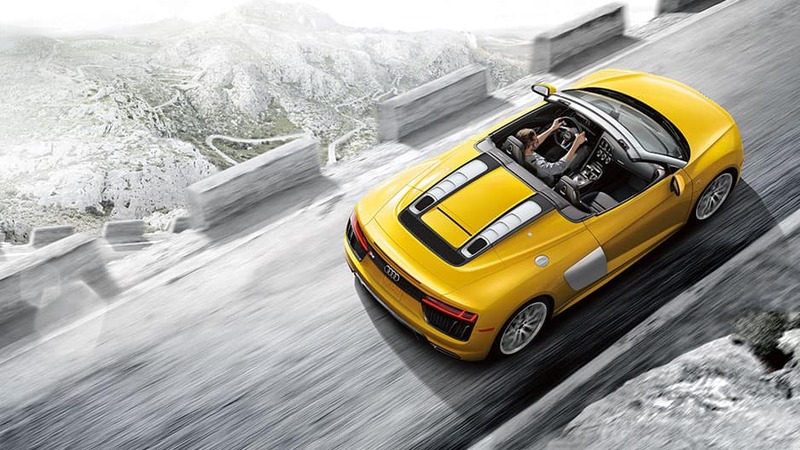 All that power pushes the R8 to 60 mph in as few as 3.2 seconds, ensuring you stay at the head of the pack. Don’t worry, you’ll get use to the stares. Schedule a test drive at Audi of Rochester to experience the new Audi R8 today. The Audi R8’s sports-car heritage is on full display from the moment you set eyes upon it. This legendary vehicle’s silhouette is unmistakable with its flowing roofline, wide stance, and prominent side air intakes. Wherever the road takes you, all eyes will be on you. The new Audi R8 is art in motion. 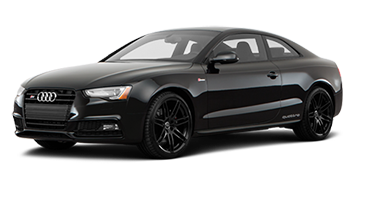 Audi crafted this luxury coupe to get heads turning with its flowing roofline, chiseled body, and available fixed carbon-fiber rear spoiler. Up front you’ll find the Singleframe® grille sitting low and wide, enhancing the R8’s sporty vibes. Audi designed the new R8 with integrated twin-trapezoidal exhaust outlets that enhance the overall sports car aesthetic. Plus, they give vehicles traveling behind you something fun to look at. Brighten the night with new Audi R8 courtesy of full-LED headlights that cast light farther down the road than traditional halogen bulbs. The LED motif continues in the rear where you’ll find LED taillights with dynamic turn signals that broadcast your movements to vehicles behind you. Even at a standstill, the new Audi R8 is guaranteed to turn heads. Take the R8’s curb appeal to the next level with the available 20-inch 10-spoke Y-design forged alloy wheels in a silver finish. 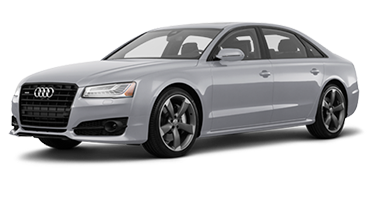 With the Audi A8’s wide color palette, it’s impossible to fade into the background. Choose from a plethora of eye-catching colors, including Tango Red and Ara Blue. 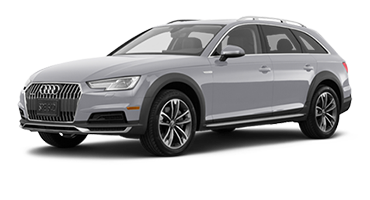 Audi even offers certain colors in a matte finish to stand out. Strap yourself in and race to the front of the pack in the new Audi R8. The R8’s motor sport heritage is on display from the moment you slip behind the wheel while still boasting all the comforts of modern-day driving. The new Audi R8 is ready for the track with its driver-focused cockpit. It features a monoposto arc inspired by classic racing cars, decorative inlays, and fine Nappa leather throughout the cabin, ensuring the Audi R8 is ready to deliver showstopping performance. Opt for the Audi R8’s available heated racing seats that wrap you in warmth on cold mornings while providing the support you need when at high speeds. Keep the Audi R8’s interior how you want it with automatic climate control. Just set the temperature, and the R8 will ensure it doesn’t get too hot or cold. The Audi R8’s three-spoke multifunction sport steering wheel is a worthy centerpiece for a performance-focused interior. 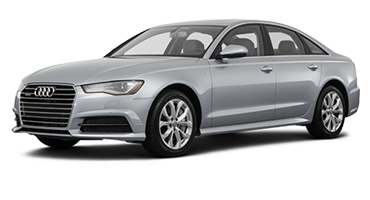 The wheel features shift paddles, cruise-control settings, and even Audi drive select, so you stay in command without removing your hands from the wheel. Forget about fumbling around in your pockets for keys. The Audi R8’s advanced key allows you to open the doors and start the engine with the press of a button as long as you’ve got your key on you. Audi spared no expense ensuring the new Audi R8 would impress. 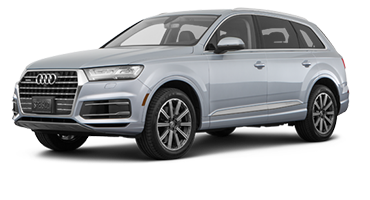 That’s why it’s equipped this luxurious performance vehicle with the latest in advanced technology, including Audi virtual cockpit, smartphone integration, and MMI® touch system. Feel free to take the long way home. Never miss a thing in the new Audi R8 with smartphone integration via Apple CarPlay™ or Android Auto™. By connecting your phone to the R8’s infotainment system, you can answer calls, stream your favorite music, or look up directions hands-free. Using handwriting recognition technology, the Audi R8’s MMI all-in-touch system allows you to “write” your commands on its touchpad. This system makes it easy for you to look up music or directions without fiddling with buttons. You deserve crystal-clear, concert-quality audio on your drive and that’s what you get with the Audi R8’s Bang & Olufsen Sound System. This system features 13 speakers, a subwoofer, and 550 watts of power to turn the R8 into an audiophile’s dream car. The new R8 keeps you connected on the go with Audi connect®. This system turns the R8 into a 4G LTE Wi-Fi hotspot you can sync your mobile phone to and gain access to information like Google Earth™, weather, and current traffic information. With the Audi R8’s virtual cockpit, you’ll have a 12.3-inch digital instrument display front and center. The system allows you to customize information such as navigation, audio, and sports-related data like lap time, horsepower, and torque gauge. The Audi R8 offers a master class in speed and style, but that doesn’t mean it lets safety fall to the wayside. Whether you’re tearing up the racetrack or cruising around on a Saturday night, the R8 is prepared for the unexpected. While you do everything you can to prevent accidents, sometimes the unthinkable occurs. 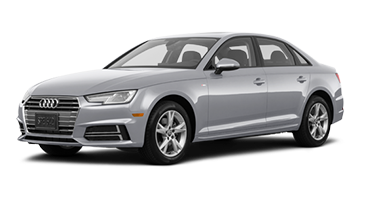 If it does, Audi has you covered with driver single-stage and passenger dual-stage airbags, thorax side airbags, Sideguard® head-curtain airbags, and knee airbags. Back out of any parking spot or driveway without craning your neck with the Audi R8’s rearview camera. Place the R8 in reverse to view a live feed of the area behind you on the display screen, complete with guiding lines to lead the way. This system takes your parking game to the next level with front and rear acoustic sensors that detect when you’re close to another object. If the system detects an object, it will warn you with visual and audible alerts. No one wants to be stranded on the side of the road with a flat tire. That’s why Audi equipped the R8 with a tire pressure monitoring system that detects when a tire’s air pressure is low and warns you with a visual indicator, catching potential flat tires before they can happen. The Audi R8 features an anti-theft alarm system to keep would-be car thieves away from this thrilling sports car. If the system detects entry through unauthorized means, it will trigger a piercing alarm to alert people nearby. Audi designed the new R8 with the racetrack in mind. 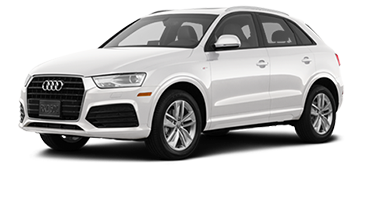 This adrenaline-pumping sports car offers a choice between two powerful engines, a drive select system, and legendary quattro® all-wheel drive that are guaranteed to take your breath away. 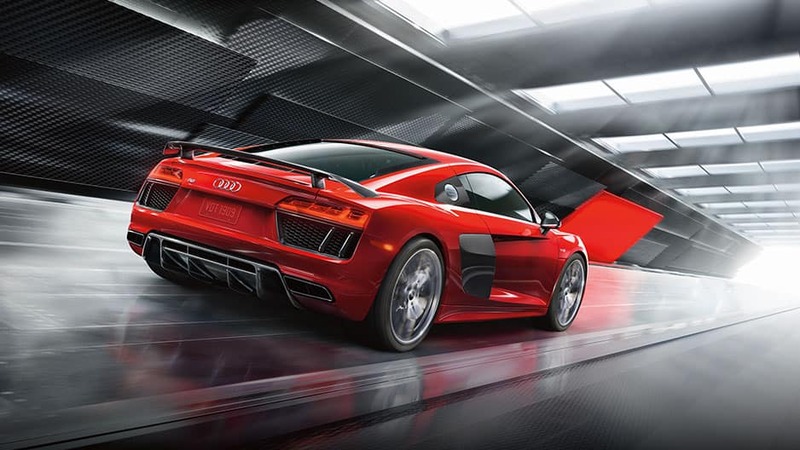 The heart of the new Audi R8 is its thrilling 5.2-liter V-10 FSI® engine. This powerful beast kicks out 532 horsepower and 398 pound-feet of torque, sailing this luxury sports car to 60 mph in only 3.7 seconds. Kick the thrills up a notch with the Audi R8 V10 Plus’ upgraded 5.2-liter V-10 engine. This monster delivers 602 horsepower and 413 pound-feet of torque that soars the R8 to 60 mph in a spine-tingling 3.2 seconds. Audi equipped the R8 with the legendary quattro all-wheel-drive system to ensure optimal handling across any road condition. The system emulates a rear-wheel-drive system, but will send up to 100 percent of the torque to the front axle depending on the driving situation, ensuring you remain in control. Choose how you drive in the new Audi R8 with the Audi Drive Select system. This feature allows you to choose from up to five modes: Comfort, Auto, Dynamic, Individual, and, on the R8 V10 Plus models, Performance. Drive select fine-tunes the R8’s driving performance to match the selected mode, so you drive how you want. The new Audi R8 is equipped with the seven-speed S tronic dual-clutch transmission, so you’ll enjoy smooth, responsive shifting every time. Put the pedal to the metal and leave the rest behind in the new Audi R8. Sleek and innovative, the Audi R8 is a stunning eye-catcher that’s a thrill to drive. 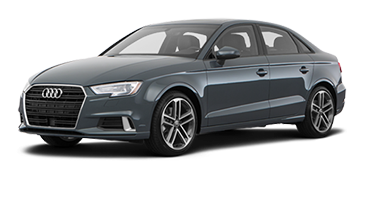 Audi equipped this performance car with the latest in advanced technology, offering smartphone integration via Apple CarPlay™ or Android Auto™ to keep you connected on the go. Add in Audi virtual cockpit and 4G LTE Wi-Fi® via Audi connect®, and the R8 is ready for wherever the fast lane takes you. The new Audi R8 is at home on and off the racetrack thanks to its powerful V-10 engine and legendary quattro® all-wheel drive. 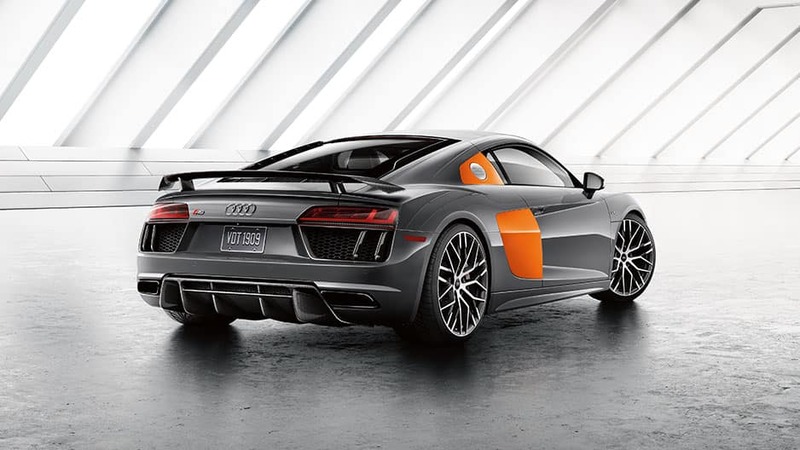 The V-10 engine sails the R8 to 60 mph in as little as 3.2 seconds, ensuring you stay at the head of the back. 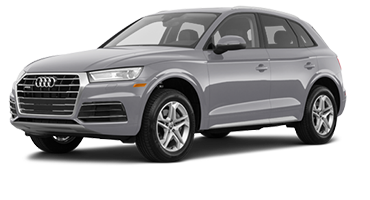 Meanwhile, quattro all-wheel drive provides superior handling, distributing power to the front axle when necessary to guarantee tight control in any road condition. Don’t take our word for it though. Discover the new Audi R8 today, with a test drive at Audi of Rochester. 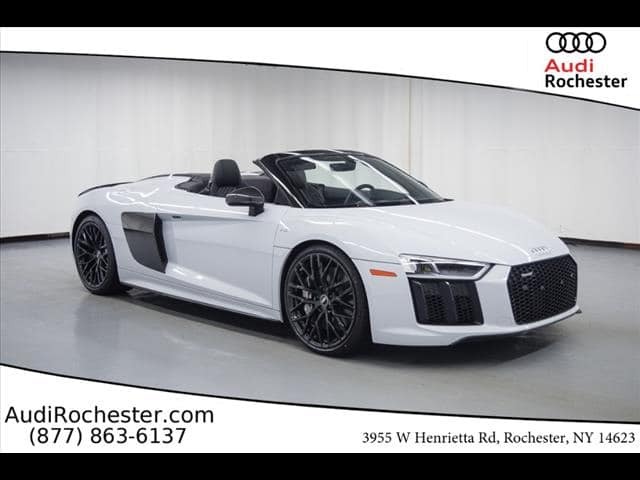 *MSRP: Starting MSRP of $164,900 for a 2018 R8 Coupe V10 with automatic transmission. European model shown. 2018 Audi R8 Coupe features will vary. Prices exclude $1250 destination, taxes, title, other options and dealer charges. Dealer sets actual price.